As a company we are so excited to officially announce that during this 2019 Prom Season we will be carrying Sherri Hill. If you haven’t heard about Ms. Hill let us give you the low down real quick. Sherri Hill is a formal wear brand that was created in 2008 with a mission of making all women feel gorgeous. By using immaculate fit and tailoring, Hill really wants to embrace the womanly figure no matter the waist size. With signature styles, innovative fabric choices, and bold colors; her dresses set themselves apart from any brand out there today. Ms. Hill has a unique way of combining both modern and classic silhouettes with her show stopping dresses; ultimately bringing the runway to her clients prom night, gala, or any special event. Every woman should feel like a supermodel from the pages of her favorite magazine. Our company also strives to empower ALL women, therefore we feel that the brands we carry should reflect that sentiment as well. In carrying Sherri Hill, we will enable female empowerment and also make this Prom season our best yet! What style are you most excited to see this prom season? Comment below! Homecoming 2018: Trends We Love! Confident, classy, and kind. These are just three words we would use to describe, our newest Bella: Ruby! Ruby joined the team just a few weeks ago but has already found a home as a top stylist at Bella Mia and our go-to consultant at Dressed Up. Her love for fashion is undeniable and she believes that it's the best way to express yourself. Watching people piece together an #ootd or pairing jewelry with their homecoming dress, Ruby is inspired by interpreting how women express themselves through their wardrobe. She would describe her personal style as feminine and Parisian chic (this 19 year old girl loves to travel) And while Paris will remain a standby favorite, Norway is next her travel bucket list. Once she finishes school for hospitality and tourism, she wants to open her own B&B in Scotland: How cool is that?! Until that day comes, Ruby spends her days with her new pup, Lilo, volunteering at the Huron Valley Humane Society, and going on local adventures to experience new cultures. Ruby has been shopping with Bella Mia for years now. She looks fondly on the times that she and her mom would come shopping together for her next outfit or dress. We have loved knowing Ruby as a loyal customer and are ecstatic to see her grow and become a part of the Bella family. So next time you're in Bella Mia and ask to see Ruby, you'll probably end up being greeted by Ruby. And while we might miss our little dachshund friend (also Ruby) working daily, we're also excited to have this human ray of sunshine on the Bella Mia team. You've spent the past few months thinking about prom: what dress you're going to wear, what hairstyle will look best, and of course bringing it all together with shoes and jewelry! Now you went to prom, took countless photos, had a blast, and made memories you'll never forget. After an #epic prom night, you come home to slip off your dress, take off your makeup, and throw your accessories on that one chair. A few weeks past by and you're wondering: what do I do with my prom dress now? The ultimate way to pass on your great prom experience, is to let someone else have an amazing experience just like you did! Hope Closet allows young women in the metro-Detroit area to attend high school dances feeling as confident and special as you did without financial limitations. Hope Closet hosts a one week "Prom Pop-Up Shop" run entirely on volunteers and donated items and dresses. Donating is easy! First you need to decide what you want to donate; Hope Closet loves everything including your formal dress, formal shoes, accessories (including jewelry, purses, and wraps), and dress bags. After gathering your donation you have two options: mailing it or dropping it off at their donation center. If you need a receipt for your donation, please include a prestamped self addressed envelope with your donation. Also, when donating at Premier Locations give them a shout out for volunteering a free place to store the dresses! 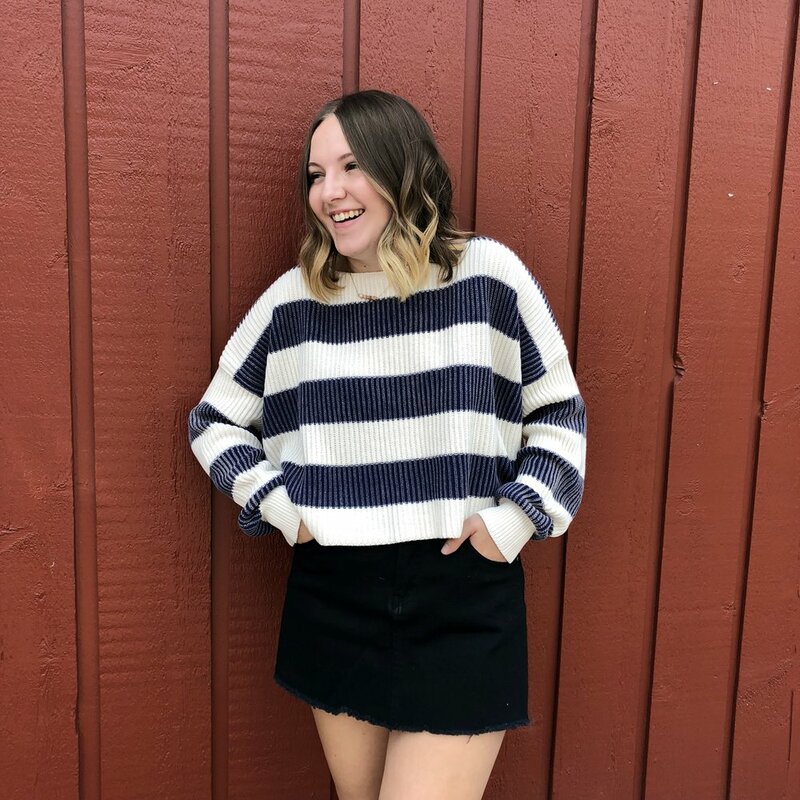 Hope Closet's ultimate goal is to offset financial costs to local families and provide role models for young women who later want the same opportunity to pay it forward with their volunteerism. For more information on Hope Closet, their volunteer program, and next pop up shoppe visit hopecloset.org. 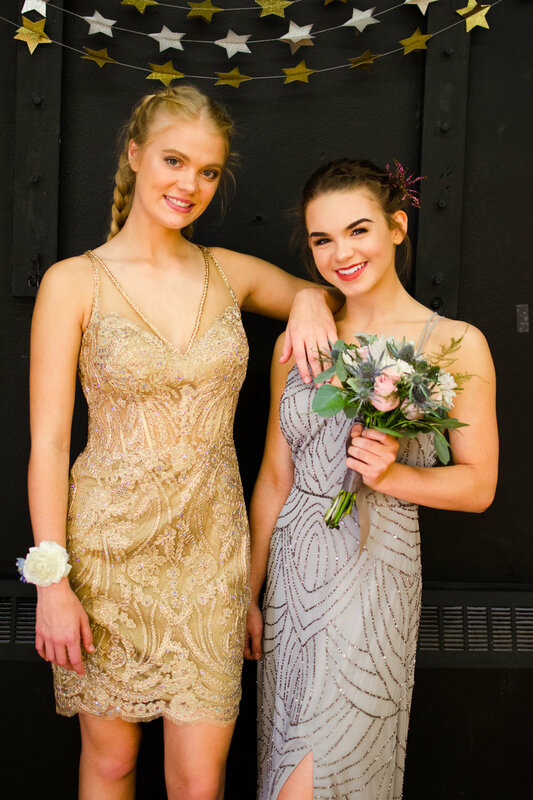 We LOVE seeing your final prom looks! After a crazy season that truly has a lot of ups and downs, it is so rewarding so see how everything came together and how beautiful each prommer looks! Was your prom experience the best ever? Did you love the way you looked and felt? We want to hear about it and how we were able to help you! Please consider thanking your consultant by leaving her a review on Facebook, Google, or Yelp! We want to thank your consultant and allow future prommers to feel as special as you did!